Crisp, melt in your mouth shortbread biscuits flavoured with orange zest – simple enough to bake with children, tasty enough that you won’t want to share! 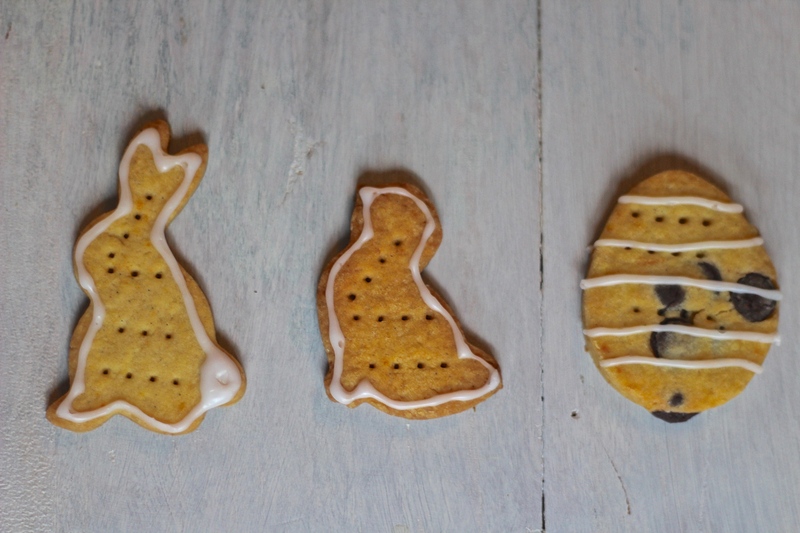 These simple but delicious shortbread biscuits are perfect for Easter and would make an ideal baking project to do with children; Baking these brought back so many memories of baking with my mum when I was a child. 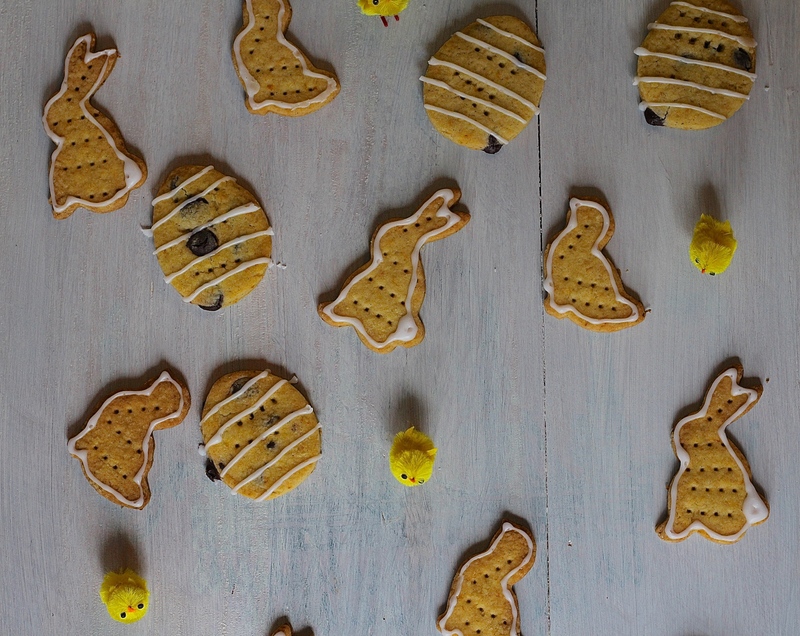 These biscuits are deliciously buttery (although, of course, they are not made with real butter! ), crisp, yet they melt in the mouth like a good shortbread should. 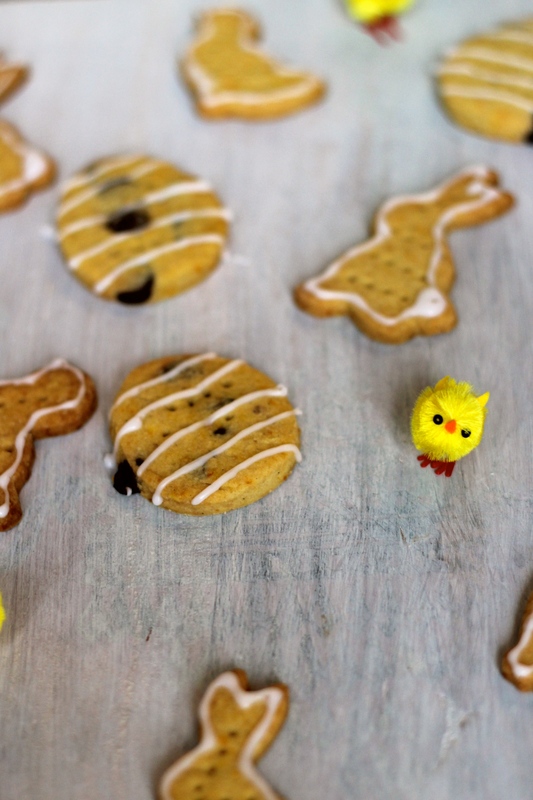 To get into the Easter spirit I used a mixture of baby chick, rabbit and egg shaped cutters and then simply piped icing all around the edge of each biscuit. 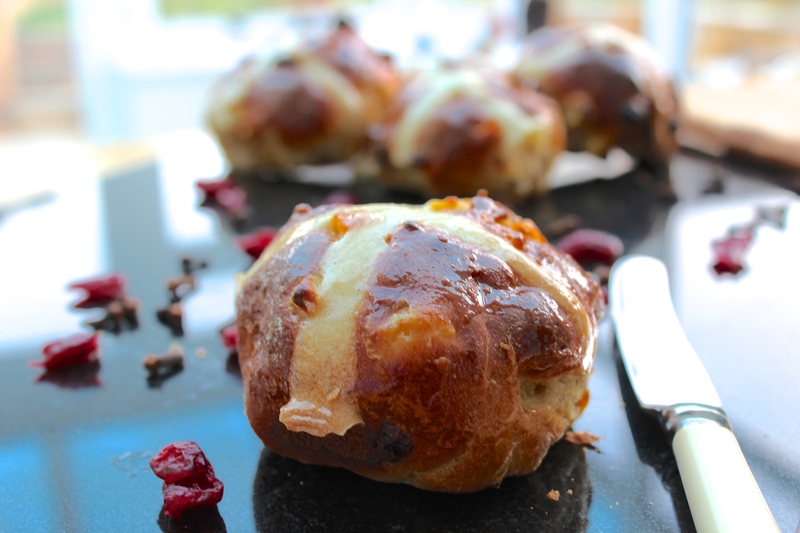 Flavoured with orange zest and vanilla they suit all tastes, so make sure to hide some for yourself before they all disappear! 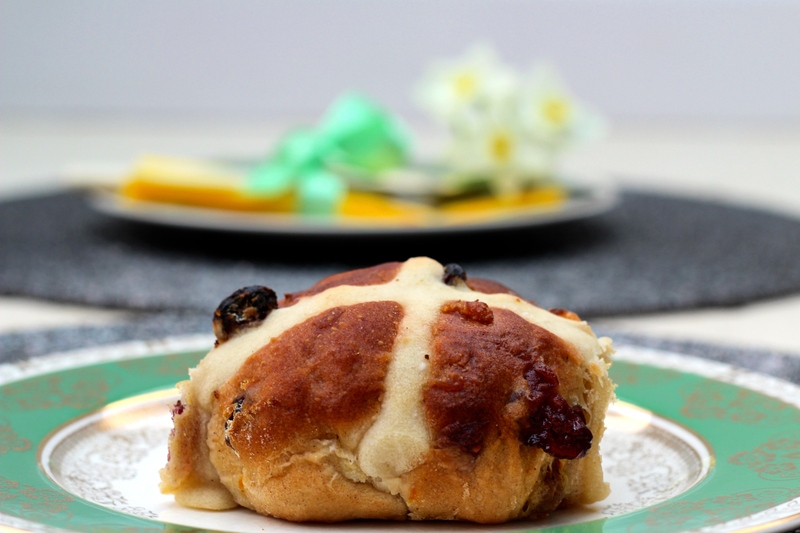 You can of course use any zest you like or even add some extras like raisins or chocolate chips like I have in my egg shaped biscuits. I love the seasons; few things bring me as much excitement as spotting the first blossoms and daffodils of the year or catching sight of the first red leaves in autumn. 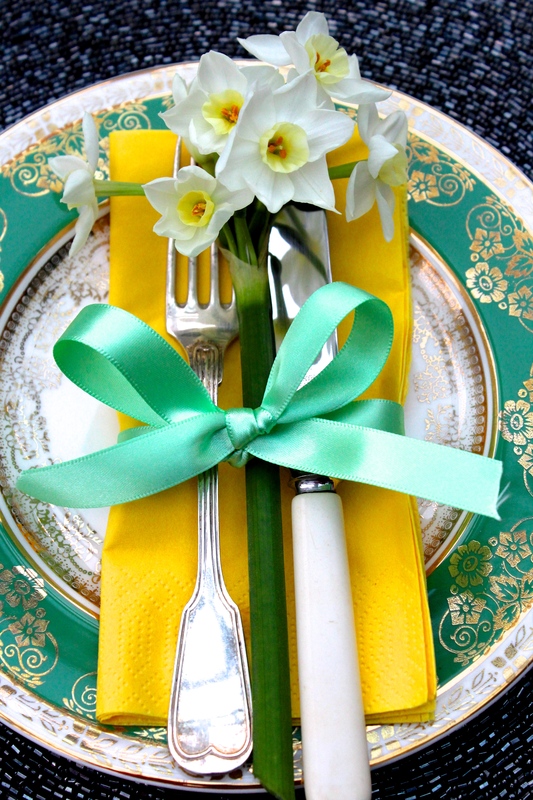 I will be cooking Easter lunch for my family this year for the first time, and to celebrate I thought I would make some pretty table settings to show off the Easter and Spring Colours. 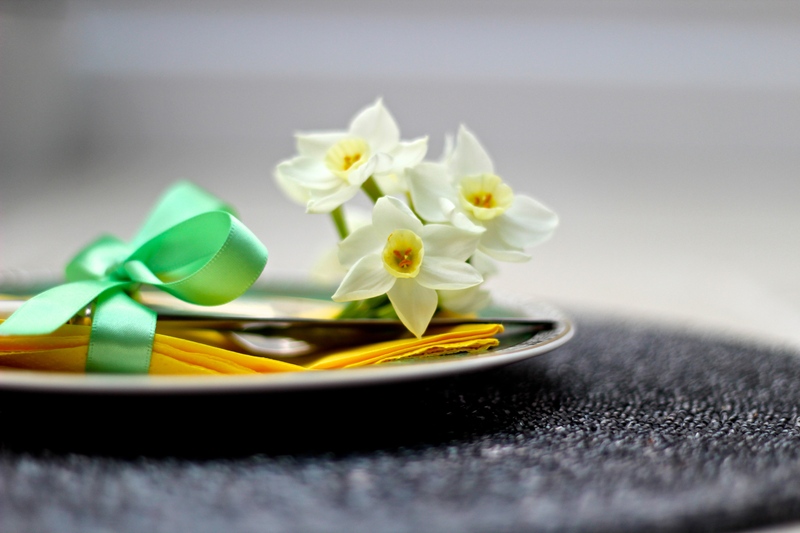 These were incredibly simple to make – using plates, napkins and ribbons in a combination of Easter pastel colours, slot a trimmed, single spring flower (yellow or white daffodils, crocuses, tulips, or a short twig with pink or white blossoms) between your cutlery on a napkin, and use a ribbon to tie it together. These simple, beautiful decorations make the table ready for a special occasion – once everyone is ready to eat just pop the flowers into a tall glass filled with water for a quick centre piece. 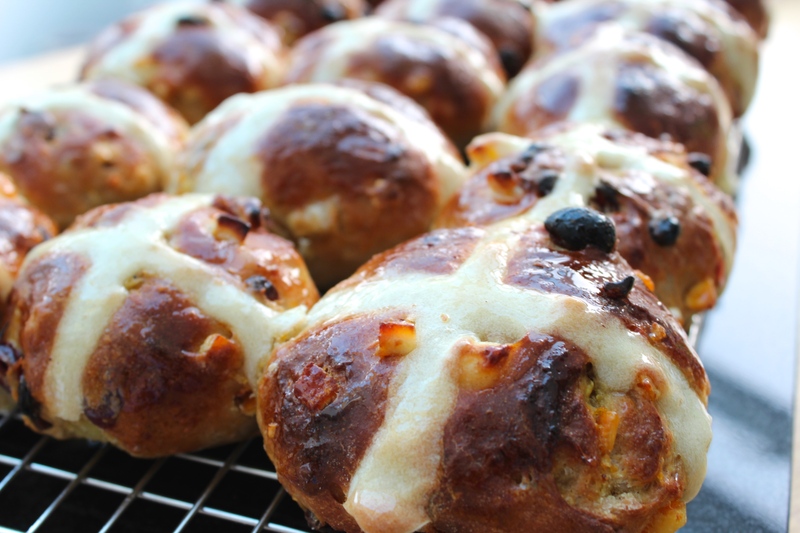 These would be perfect for either an Easter lunch or for breakfast with my Hot Cross Bun Recipe.